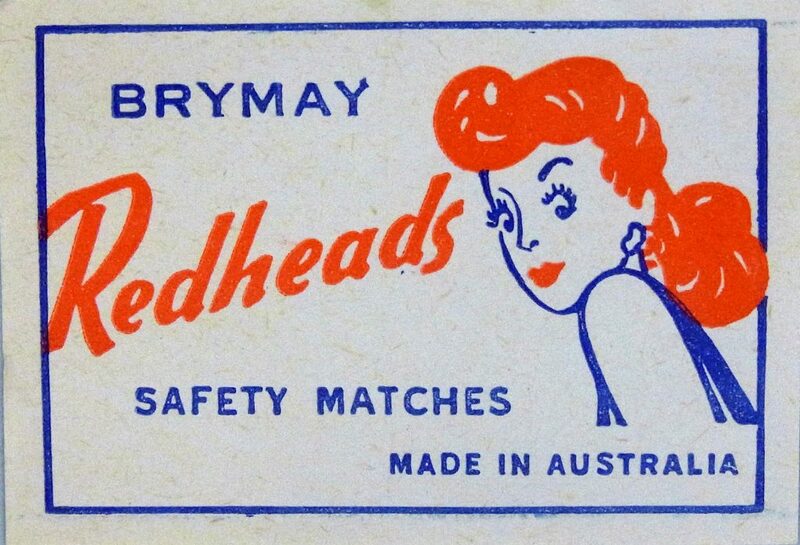 One of the most enduring figures in Australian popular culture is ‘Miss Redhead’, who first appeared on the Bryant and May Redheads matchbox label in 1947. 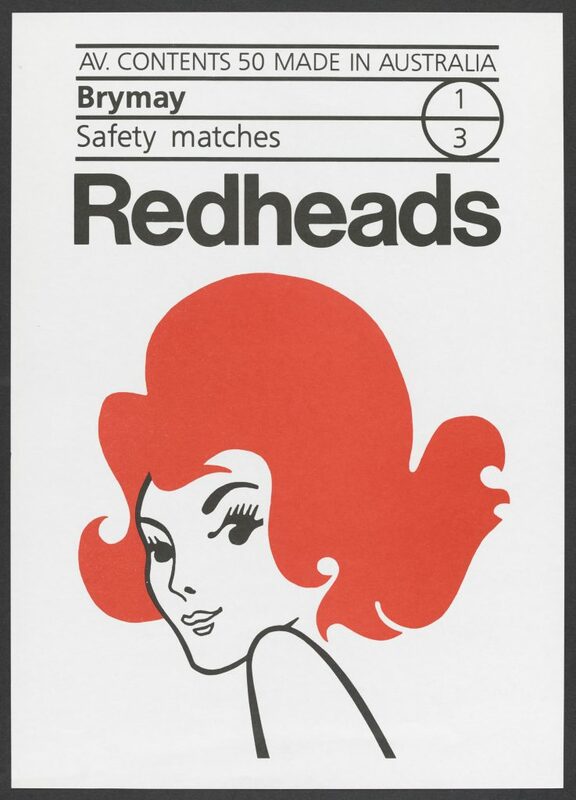 The playful personification of the mundane, functional red-tipped safety match as a glamorous red-headed woman was something new in Australian marketing. It’s a measure of her iconic status that in the past women have come forward claiming to have been the original model for Miss Redhead. But the rendering is completely generic, and an actual model is unlikely to have been involved. 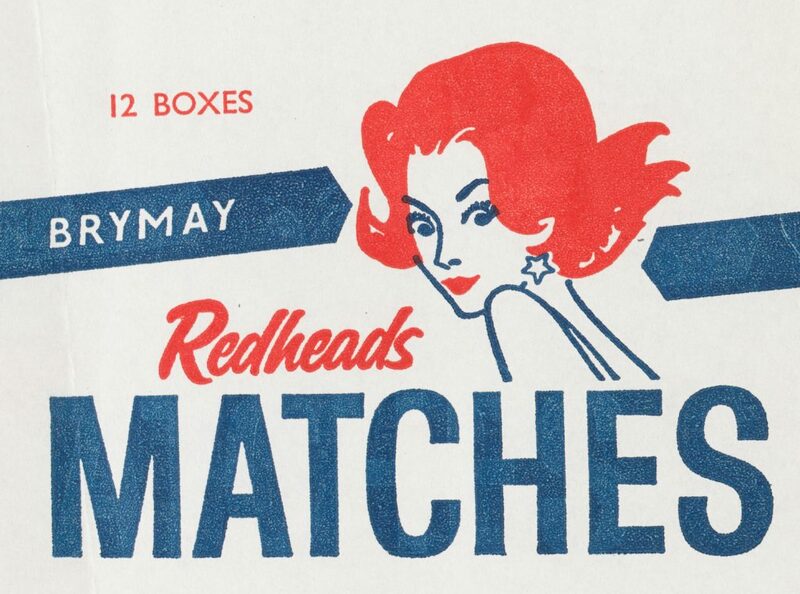 We do not know who drew the first Miss Redhead, or for that matter, who restyled her for the updated label in 1958. 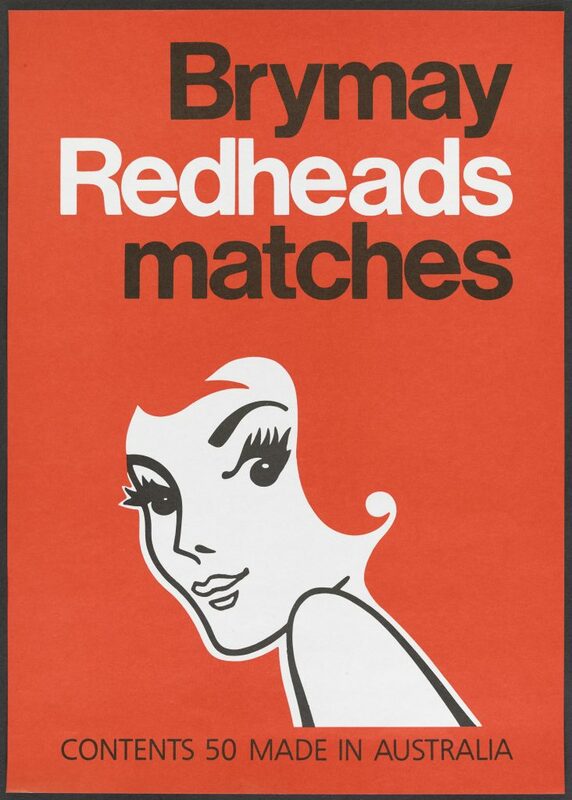 The label remained the same during the 1960s, but a modified version of Miss Redhead appeared on the paper wrapping in which bulk matches were sold. Her features are slightly compressed, giving her a more knowing, less startled look. 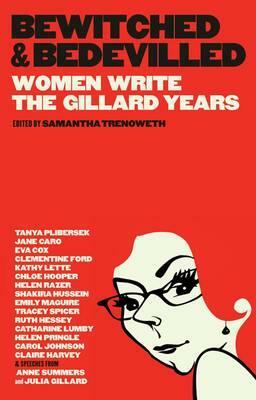 In 1971 the new Ms Redhead appeared, as refined by legendary Australian graphic artist Brian Sadgrove. Giving her even bigger hair, Sadgrove has tightened up and modernized the design, cleverly sculpting the hair-forms to suggest both curling tongues of flame, and the rounded red tip of the match. 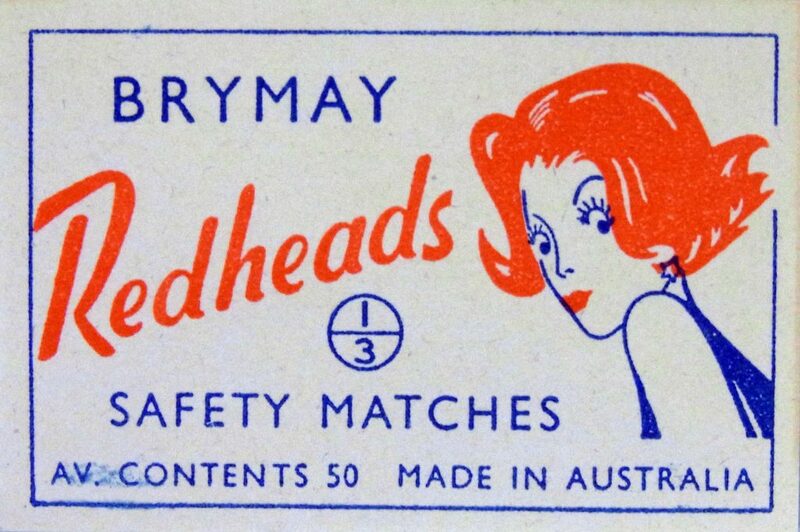 Since then, Ms Redhead has displayed infinite variety, to the delight of phillumenists (collectors of matchboxes). In 1975 the design was future-proofed against changes in hairstyles by flooding it with a red background. Ms Redhead lends herself to re-invention and a number of artists have adapted her. 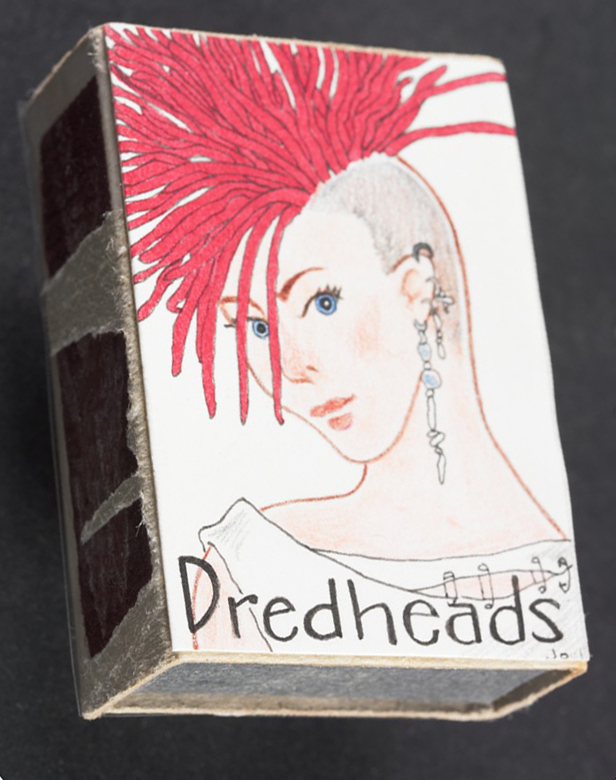 Jo Waite transformed her into a series of ‘Radheads’, including this ‘Dredhead’.